Since our doors opened in 1919, we have continually made use of cutting-edge technology to provide customers with the best engineering solutions and outcomes. Over the years, innovation and ingenuity has resulted in the company producing a diverse array of metal products ranging from rabbit traps to aircraft components. With an ongoing commitment to quality, Harrington Industries has made full use of technology for the benefit of our customers who come from a wide range of industries. 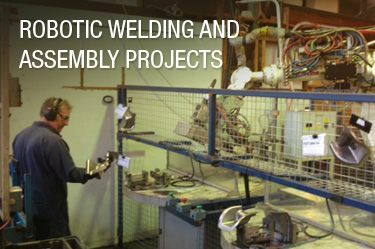 Our robotic welding and automated systems allows us to quickly complete complicated steel stamping assembly projects and provide a superior service to our customers. Automation delivers exceptional accuracy, productivity and high quality outcomes. The mechanical precision gained from robotic welding allows for superior penetration and provides very effective welding solutions during scenarios that would have been difficult to execute manually. Robotic welding is additionally much more cost effective than manual welding and results in fewer errors. 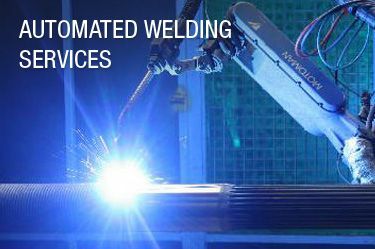 An automated welding service is also a much more time efficient process. Harrington Industries currently has seven automated robotic welding units at our 6,000 square metre facility in the Sydney suburb of Padstow. Harrington Industries has a large range of innovative metal stamping equipment capable of meeting the needs of most projects, be they big or small. Harrington Industries has a state of the art toolroom and a talented team of toolmakers who use the latest CAM software and CNC equipment to create precise stamping tools. We also carry out tooling R&D for new products and to enhance our processes. From design through to product realisation, customers have the support of our experienced engineers who have a wealth of steel press and metal forming process knowledge. 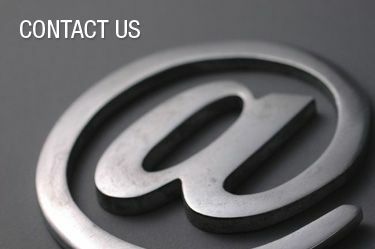 Many of them specialise in areas such as product and tool design, process automation and special purpose machinery. We additionally have the capability to take on-board a steel pressing and metal forming project during any stage of its development. Our engineering team are also experienced at collaborating with a customer’s own team of engineers. As part of our commitment to quality management we adhere to ISO 9001 and TS 16949 industry standards. No matter if your project entails deep drawing or metal forming, our modern facility and our skilled staff are up to the task. For further information on Harrington Industries and our metal pressing and assembly abilities please phone +61 (02) 9771 2411or enquire online.